So where lies the problem? Why the repugnance with the name whilst acknowledging the desirability of its aims? The men that I met and had the good fortune of travelling the path with had too much reverence for the Shariah for Sufism to be anything besides. It is their teachings that has taught me that the problem lies in going to extremes in methodologies and placing undue stress on terminologies. A perusal of the works of Abdul Qadir Jilani’s ‘Futuh al-Ghaib’, Suharwardi’s ‘Awarif al-Ma’arif’, Sirhindi’s ‘Maktubat’, Waliullah’s ‘Qawl al-Jamil’ and Thanawi’s ‘Tarbiyat al-Salik’ will show that they are replete with delineating the truth from falsehood. 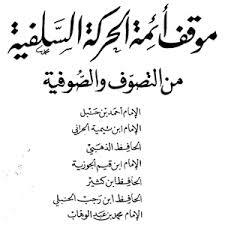 My teachers embodied these works and were exemplars of the Shariah. I found them as torchbearers of both Shariah and Tariqah. They taught that bay’ah, suhbah, dhikr, shugl etc are all pursued to achieve the Shariah-countenanced objectives and if none of these objectives are achieved then all these efforts are in vain.